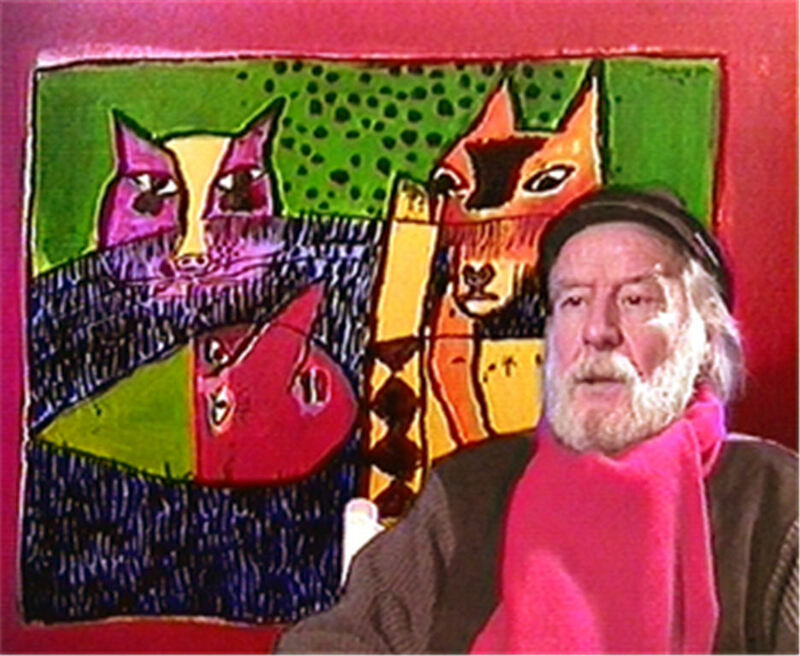 Guillaume Cornelis Beverloo (1922 - 2010), Corneille, was a Dutch artist who is born in Belgium and died this month in France. He is buried in the same cemetery as Vincent van Gogh, a painter who was highly admired by Corneille. As a painter Corneille is an autodidact. In his early years, he painted realistic: still lifes, people and landscapes. In 1948 Corneille was involved in the creation of the CoBRA Group, a group of Danish (Copenhagen), Belgian (Brussels) and Dutch (Amsterdam) artists. Even writers and poets belong to the CoBRA group. The artists' group leaves only three years, but has been the basic for the work of Corneille. According to Corneille, the CoBRA artists want to express themselves on a expressionistic way, like children, by playing unprejudiced with colours and shapes. Since 1950 Corneille lived and worked in Paris. His paintings are bright and colourful. The sun, women, paradise, trees and birds are recurring elements. He is particularly fond of birds. His artist name Corneille is French for 'crow'. 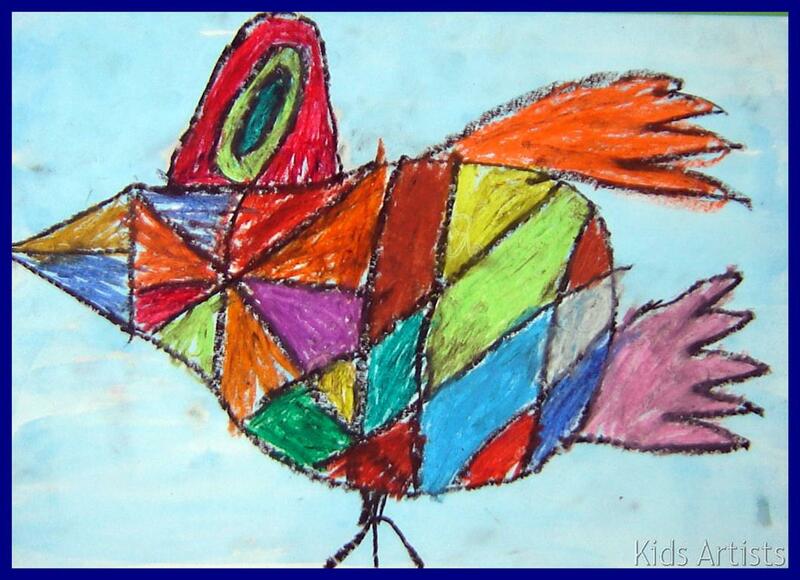 Show examples of Corneille's work on the digital board. What issues do you often see in his paintings? What do you notice about his style? 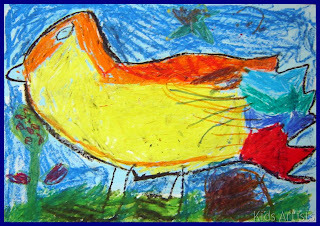 Discuss the salient features: bright colours, thick black outlines, few details, painted as if it was made by a child, an image that sometimes is not complete (missing parts at the edges). Draw the outline of a bird with a black crayon and make sure this animal reaches at three edges of the sheet: it should be big! 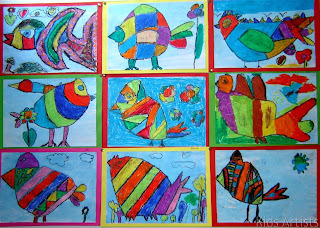 Colour the bird in bright colours and/or patterns. Paint the background with deluted blue ink. 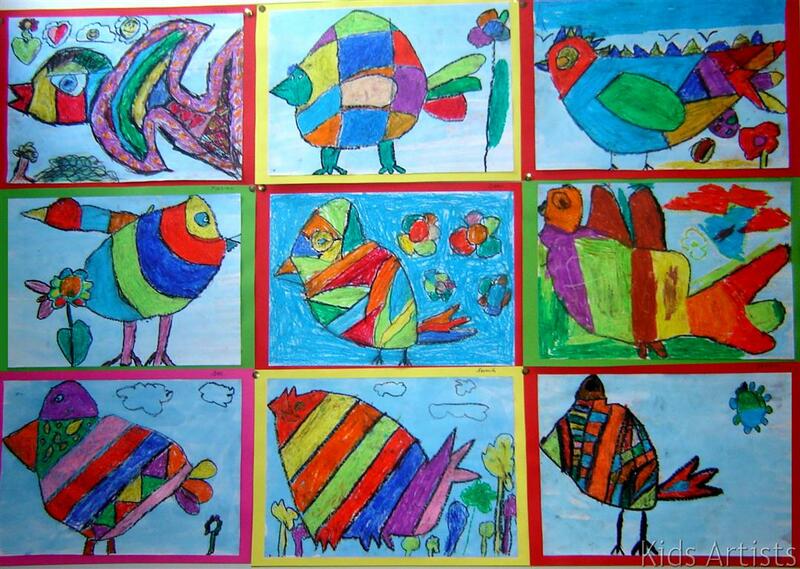 Glue or staple the drawing on a coloured sheet. I love this project! Thank you for educating me about an artist I did not previously know! There's a ghost in my bedroom!